"Wait, so I’m going to be on your cover?" Tomas Maier asks. "You sure you want to do that? Your sales might go down," he laughs. His seemingly uninterested attitude toward being put in the spotlight, or garnering any kind of attention at all is something that has, in many ways, found its way into his work at Bottega Veneta, where he has been creative director since 2001. Exteriors of Bottega Veneta's 15,000 square-feet flagship store in New York City, the brand's largest retail space in the world. But those people were wrong. In an era where careers are measured in months rather than years, it has to be said that Maier has consistently delivered for almost two decades. His vision to create a brand that focuses on fine-quality materials, extraordinary craftsmanship, contemporary functionality, and timeless design — core values that form the brand’s famous slogan, “When your own initials are enough” — garnered much attention and following, making it one of the highest-earning brands in the Kering group. 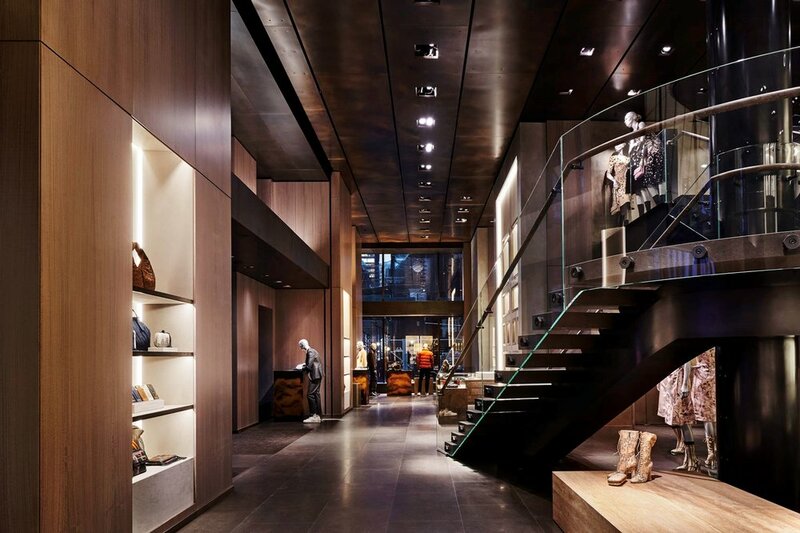 Interior of Bottega Veneta's flagship store in New York City. Fast forward to 2018, and Maier is sitting on the top floor of his brand’s newly-opened Maison in New York City. Located on 64th Street and Madison Avenue, the store is Bottega Veneta’s largest retail space in the world with nearly 15,000 square-feet of space over four storeys. He has just presented, what would be announced a few months later, his last show for Bottega Veneta. “New York is a melting pot of ethnicities and people who want to stand out. Bold colours and bright suits,” Maier describes his Fall/Winter 2018 collection that he presented two nights earlier. 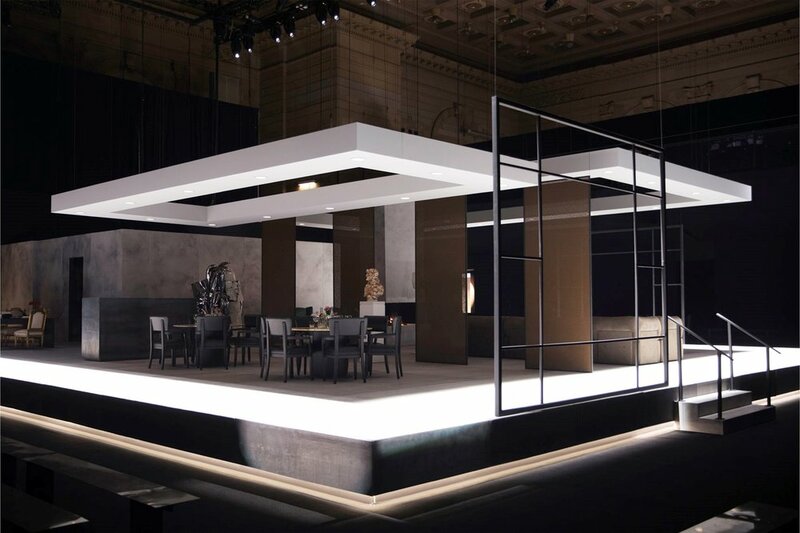 Interestingly, he incorporated Bottega Veneta’s Furniture collection into the show set, something that, according to him, was an attempt to show off the various facets of life in New York. 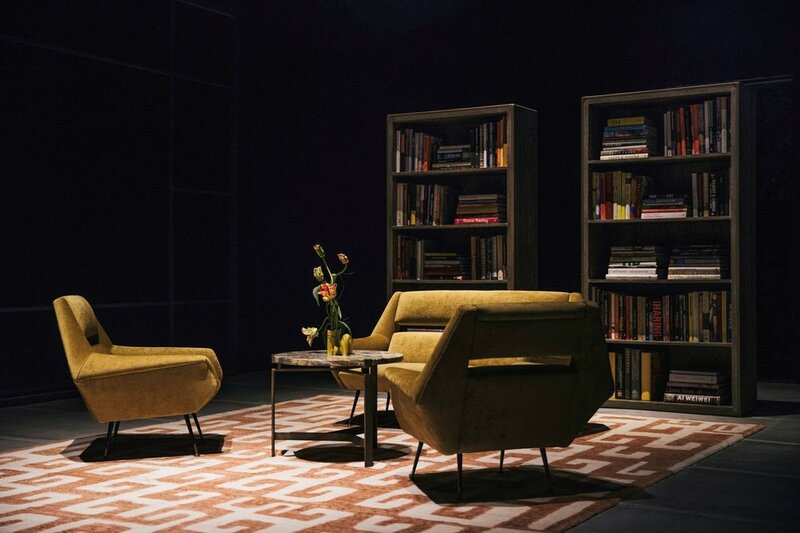 Maier incorporated his brand's Furniture collection into the set of the Fall/ Winter '18 show. It formed a unique backdrop to show off richly hued intarsia silk dresses, lush shearling coats paired with iconic Bottega Veneta bags such as The Lauren 1980, The Knot Clutch, and the new women’s bag this season, a drum-shaped zippered tote called The Tambura, as well as colourful intarsia patterns on felted grey cashmere crew necks and jackets of the men’s collection paired with checker totes and shoulder duffles. Bottega Veneta has come a long way since Maier’s first collection in 2001 that consisted solely of accessories. The New York Maison and Fall/ Winter 2018 collections aren’t simply showcases of the brand’s latest collections, or a curated shopping experience, but rather insights into how Maier has transformed and evolved the brand to become one that offers full women’s and men’s ready-to-wear collections, accessories, fine jewellery, furniture, luggage, porcelain, eyewear, fragrance and watches. Looks from Bottega Veneta's Fall/ Winter '18 collection. Show set of the Fall/ Winter '18 show in New York City. “Why the need to diversify so much? Why not just focus on one or two aspects within fashion?" I ask. 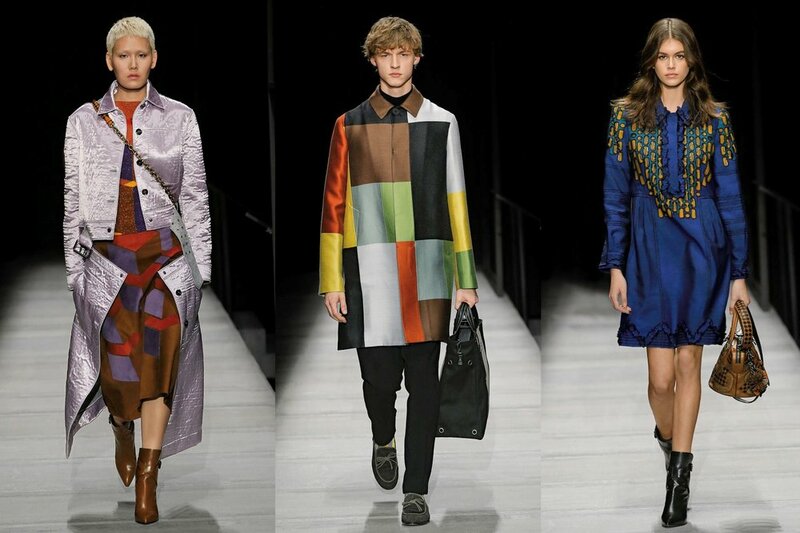 While it is unclear what Maier’s immediate plans are, whether it is to take some time to regroup and recuperate, it is clear that Maier has turned Bottega Veneta into something more than a successful luxury fashion label — he’s made it represent a way of living. “Each collection and expansion is not a departure from the next but a build up of past collections,” Maier says. Poppy Delevingne, Alice Naylor-Leyland, Jean Campbell, Arizona Muse were among guests at the Bottega Veneta Fall/ Winter '18 show. This is why Maier has shifted his focus to speak to a younger audience, as evident in his decision to use social media-famous models such as Gigi Hadid, Kendall Jenner, and Kaia Gerber for his Spring/Summer ’18 runway show. “What I like about young people today is that they don’t need logos because they have enough personality themselves. I like that they aren’t about being disposable or having disposable things,” he says. “Logos and fast fashion are just different points of view. People should be able to express themselves however they want. There needs to be a huge variety in fashion because there is a huge variety of people." Maier may be averse to logos, but he has definitely left his stamp on Bottega Veneta as he quietly went about designing products with understated elegance, some gaining cult status such as the Knot Clutch—something that will forever be in high demand.